Aluminum, magnesium, titanium and other metals with small densities are usually referred to as light metals, and the corresponding aluminum alloy, magnesium alloy, and titanium alloy are referred to as light alloys. The special excellent properties and development potential of light alloy make the world pay more and more attention to its research, development, and application. What is Aviation Aluminum Alloy? Aerospace aluminum is a super high strength deformation aluminum alloy, which is widely used in the aviation industry. Compared with ordinary aluminum alloys, aluminum alloys used in aircraft have higher requirements on strength, hardness, toughness, fatigue resistance and plasticity. Aviation aluminum alloy has good mechanical and processing properties, and it has high strength and good toughness at 150 ℃ (or higher), which is ideal for aeronautical structure materials. The most remarkable characteristic of aviation aluminum alloy is that its strength can be improved by deformation heat treatment. Deformation heat treatment is a comprehensive process which combines the deformation strengthening of plastic deformation with the phase change strengthening during heat treatment to unify the forming process and forming properties. During the plastic deformation of aero-alloy, the density of defects in the crystal increases, and these defects will lead to the change of microstructure in the material. In the process of plastic deformation of aero-aluminum alloy, the changes of crystal structure such as dynamic recovery, dynamic recrystallization, sub-dynamic recrystallization, static recrystallization, and static recovery will occur. If these crystal structure changes are controlled properly, the mechanical properties of the material will be improved significantly and the service life of the material will be enhanced. There are many kinds of classification methods of aluminum alloy, which can be divided into deformation aluminum alloy and casting aluminum alloy. Deformation aluminum alloy can bear the pressure processing and can be processed into a variety of shapes, specifications of aluminum alloy, which is mainly used for manufacturing aviation equipment. The deformation aluminum alloy can be divided into non-heat treatment strengthened aluminum alloy and heat treatment strengthened aluminum alloy. The mechanical properties of non-heat treatment strengthened aluminum alloy cannot be improved by heat treatment, but can only be strengthened by cold machining deformation. It mainly includes high purity aluminum, industrial high purity aluminum, industrial pure aluminum, and antitrust aluminum, etc. Heat treatable strengthened aluminum alloy can improve its mechanical properties by means of quenching and aging. It can be divided into hard aluminum, forged aluminum, super hard aluminum, and special aluminum alloy. According to the experimental data, the launch cost will be saved about $20,000 for every 1kg weight loss of the space vehicle entering the air. If the weight of the fighter is reduced by 15%, the flight range can be shortened by 15%, the range increased by 20%, and the payload increased by 30%. Therefore, the world attaches great importance to the research and development of lightweight structural materials for aerospace. Aviation aluminum alloy is widely used in the field of aviation and aerospace by its unique advantages such as small density, moderate strength, easy processing and forming, strong corrosion resistance, abundant resources, and strong recyclability. 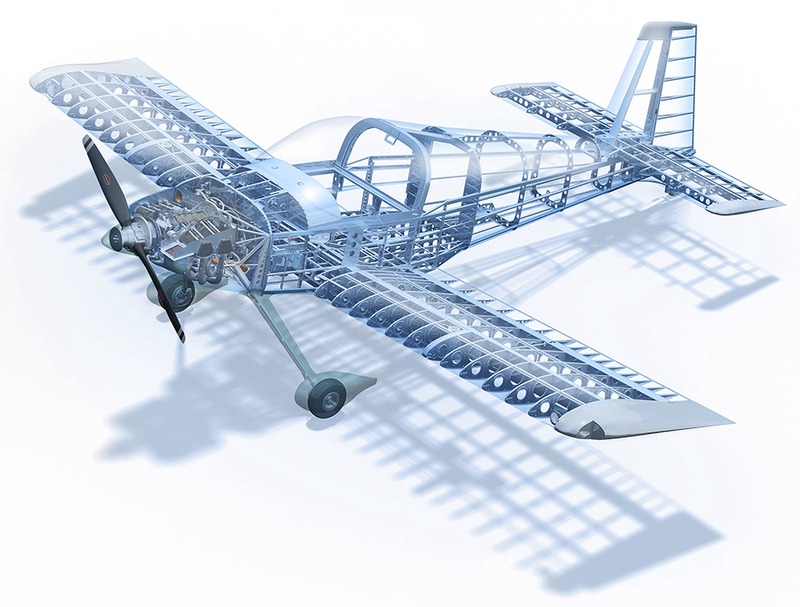 The skin, beams, ribs, girders, spacers and landing gear on aircraft can be made of aluminum, and the amount of aluminum used varies by aircraft. Due to its low price, aluminum alloy is widely used in civil aircraft that focus on economic benefits. 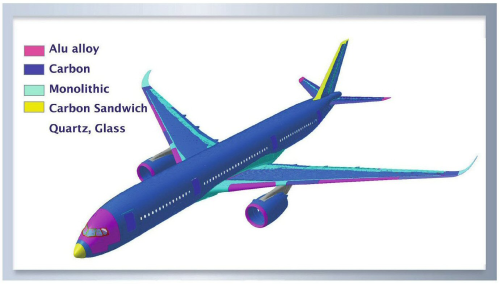 For example, the aluminum alloy used in Boeing 767 aircraft accounts for about 81% of the body weight. Some aviation aluminum alloys have good cryogenic properties and can work in liquid hydrogen and oxygen environments, so they are ideal materials for making liquid rockets. For example, the fuel tanks, oxidizer tanks, intertank sections, interstage sections, tail sections and instrument capsules of the Saturn 5 carrier rocket that launched the Apollo spacecraft are all made of aviation aluminum alloys. At present, the main aluminum alloy materials used in civil aircraft are aluminum alloy castings, aluminum alloy forgings, large section aluminum alloy extrusion profiles, aluminum alloy thick plates, and aluminum-lithium alloys. The main applications of some major types of aluminum alloys are as follows. 2024 aviation aluminum is used in aircraft structural parts; 2048 aviation aluminum alloy is mainly used for manufacturing aerospace structural parts and weapon structural parts; 2218 is mainly used in aircraft engines and diesel engine piston, aircraft engine cylinder head, jet engine impeller, and compressor ring; 2219 is used for aerospace rocket welding oxidizer tank, supersonic aircraft skin, and structural parts. Previous: How Are Tungsten Alloys Used in the Aerospace Industry?